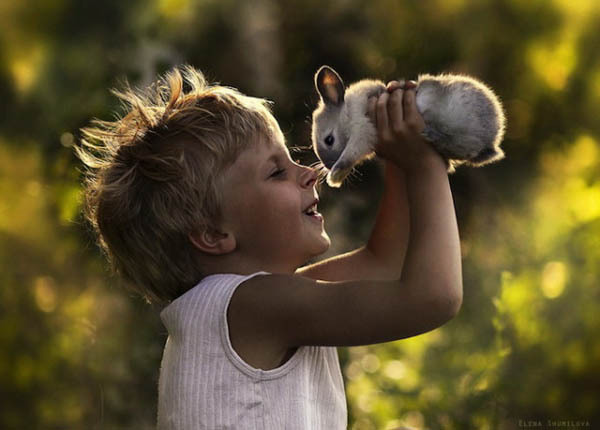 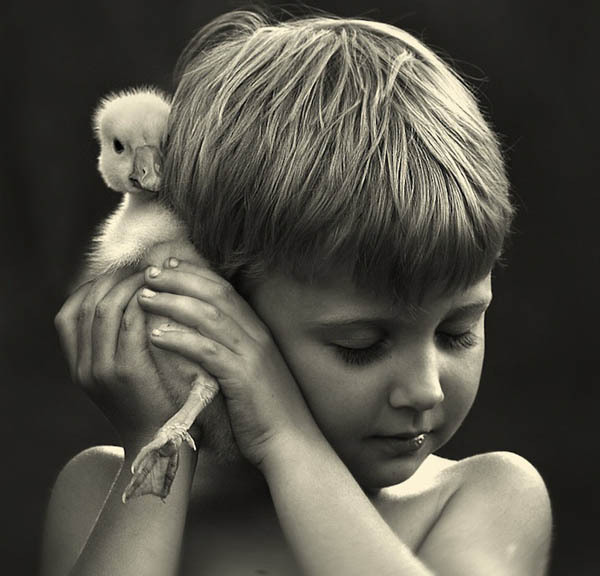 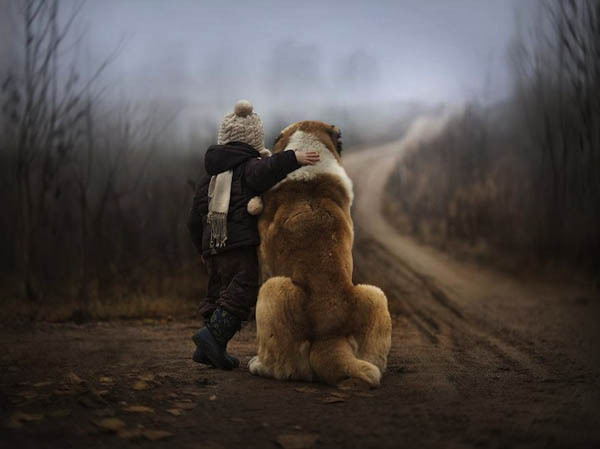 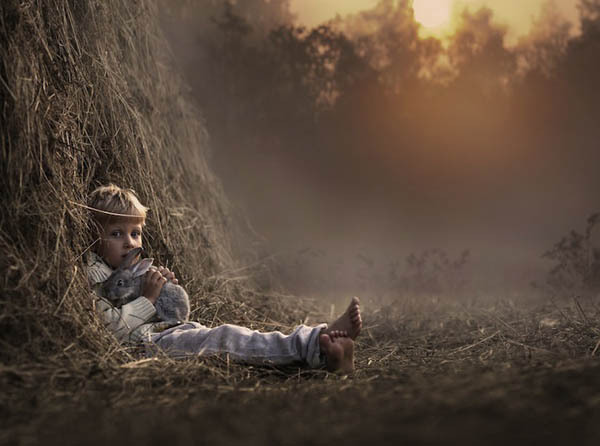 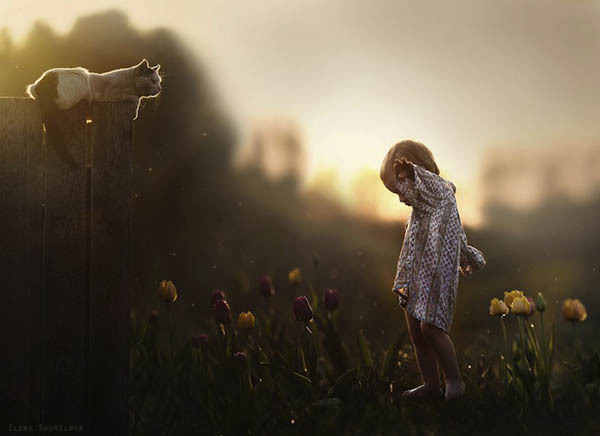 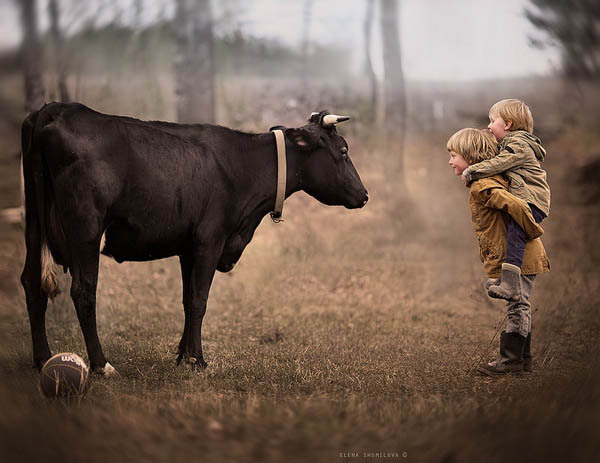 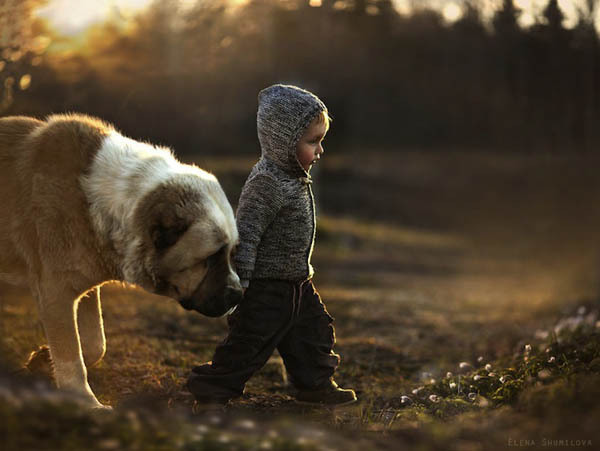 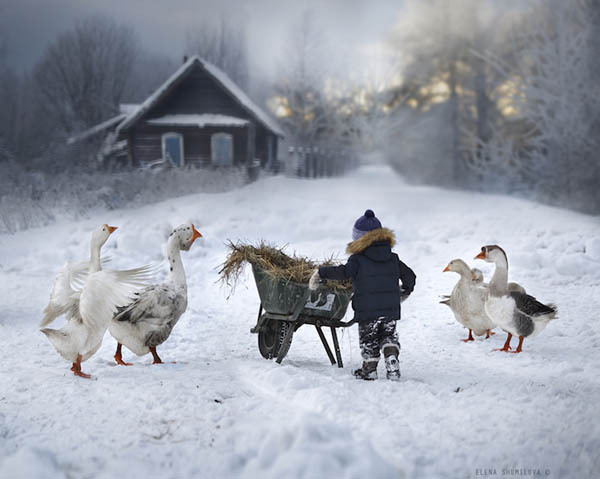 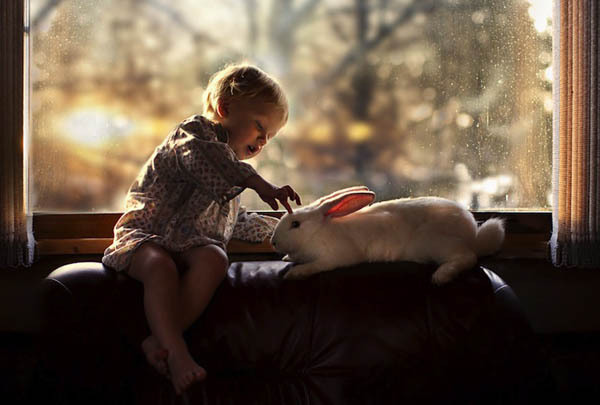 Elena Shumilova, a Russian based professional child and family photographer, captures heartwarming images of her sons interacting with various animals on their farm, such as dogs, ducks, goose, cats and rabbits. 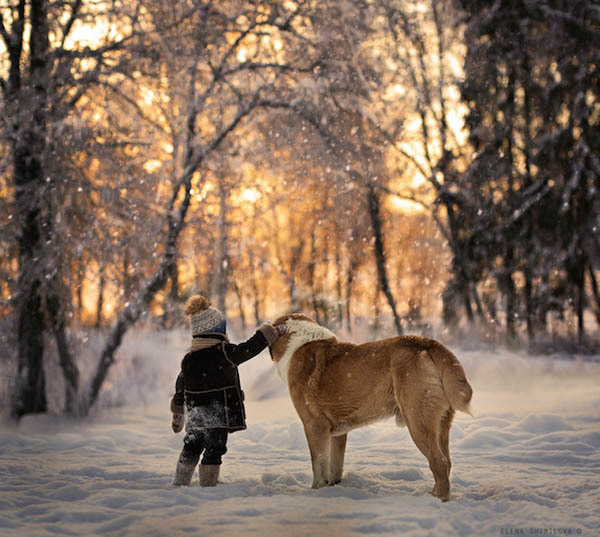 No matter it is indoor or outdoor, a wintry forest or a lush field, Shumilova manages to transport the viewer into a fairy tale-like world. 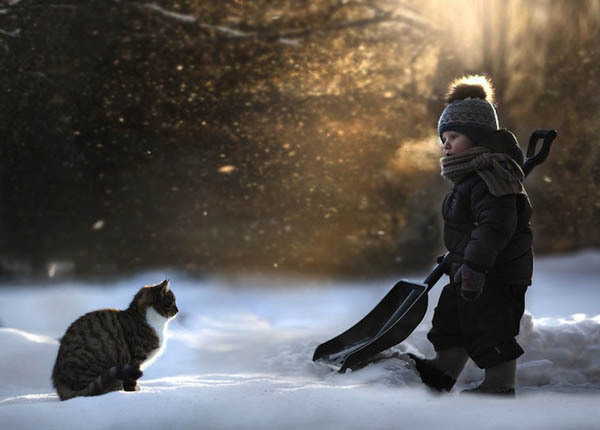 These two innocent little boys and their furry, feathered, and fluffy companions makes the beautifully cinematic landscapes all the more enchanting.